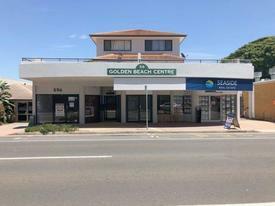 37 Commercial Real Estate and Properties in Sunshine Coast are listed in 8 categories. We have 131 Industrial Warehouses for Sale , 74 Retail Shops for Sale , 56 Offices for Sale , 53 Development Lands for Sale , 23 Hotels and Leisure for Sale and 5 Other Commercial Properties for Sale . 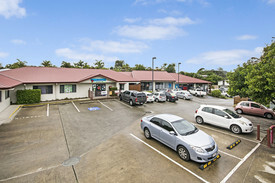 Pelican Waters Medical & Professional Centre FROM $300,000 + GS..
Two Lots in one line or separately 64m2 in total, 32m2 each shop Located on the top floor of the Centrepoint Arcade Lot 17 offering the best signage exposure to Ocean Street for the complex There is no GST payable as a lease is still in place but property will be available immediately after settlement Ample car parks at the rear Located opposite the Big Top Shopping Centre on Ocean Street Positioned in the centre of the Maroochydore CBD in close walking distance to post office, restaurant/cafe's, courthouse, banks and shopping centres Lot 16 $185,000 Lot 17 $150,000 Don't miss out on being a part of the fresh and vibrant Ocean Street rejuvenation now promoting art, culture, music and food as a real hub for the Maroochydore CBD. This building is opposite the Big Top Shopping Centre home to major retailers and other venues such as Sol Bar, Machu Pichu Restaurant, Hello Harry and Zahtaar Restaurant. Lots 16 17 are available to be purchased together or separately, currently owned by the same owner. This property is located on the first floor of the Centrepoint Arcade and is so affordable you don't want to miss out! Contact our exclusive marketing agent Emily Pendleton today to arrange your inspection or for further information. PRICE DROPPED TO $139,000 for quick sale 37m2 Located on the top floor of the Centrepoint Arcade Vacant possession, available for occupation immediately after settlement Beautiful glass shop front with ample signage opportunities Ample car parks at the rear Located opposite the Big Top Shopping Centre on Ocean Street Positioned in the centre of the Maroochydore CBD in close walking distance to post office, restaurant/cafe's, courthouse, banks and shopping centres Don't miss out on being a part of the fresh and vibrant Ocean Street rejuvenation now promoting art, culture, music and food as a real hub for the Maroochydore CBD. This building is opposite the Big Top Shopping Centre home to major retailers and other venues such as Sol Bar, Machu Pichu Restaurant, Hello Harry and Zahtaar Restaurant. This property is located on the first floor of the Centrepoint Arcade and is so affordable you don't want to miss out! Contact the Exclusive Marketing Agent to arrange your inspection today! A Grade commercial suite for lease 192m2 internal space plus 36m2 private tiled courtyard Currently configured with spacious reception area, six treatment rooms or offices, laundry, shower, toilet, kitchen open plan area Fully plumbed to suit a hairdresser or a medical/allied health tenant needing plumbing in each room Dual access from the street and Sebel foyer Ample onsite car parking plus exclusive undercover car parking Minutes walking distance to Cotton Tree and Alexandra Headland beaches The owners have spent thousands of dollars fitting out this beautiful suite on the ground floor of this popular residential/holiday letting resort, The Sebel in the heart of Maroochydore. The works that have been done to this property are really quite amazing and are a must see to truly understand the beauty. The fitout is perfectly suited towards a hair/beauty/day spa like tenant, however could be easily catered to medical/allied health or consultant type works with six treatment rooms and a spacious reception/waiting area. Contact our exclusive marketing agents for further information or to arrange an inspection. Partially Tenanted Noosa Junction Office $1,190,000 + GST (if appl..
Large Professional Office In Noosa Heads $1,390,000 + GST (if appl..
Commercial Buderim With Exposure And Car Parking $375,000 + GST (if applic..